Speaking of Women's Rights: IUDs: A Neglected Reproductive Right. IUDs: A Neglected Reproductive Right. Why do women still have to fight for their reproductive rights? Regence Blue Shield recently had to reimburse 984 women $150,000 for not covering the cost of their intrauterine device (IUD) removal. An additional $100,000 fine brought the message home—women still need to fight for their healthcare rights. I was fortunate to hear about the hormonal IUD through friends during my sophomore year of college. More recently, I dug around in the research and discovered all of the unsung benefits it offers. I am more certain than ever of my choice of contraceptive, but I am mystified by the misconceptions that continue to plague friends, peers, and doctors alike. For those of you who have not heard much about IUDs, you are not alone. Only about 5% of women use the IUD in the United States, while in France over 23% do. Why the discrepancy? It is mostly due to misrepresentation in public forums and negative bias by medical professionals. Ninety-six percent of education about contraception in medical school focuses on birth control pills, and only 76% of students have learned about IUD’s. A study among obstetrics and gynecology residents showed that over half did not know the health benefits of the hormonal IUD. A study examining current medical textbooks found that 9 out of 13 had inaccuracies regarding the device’s functioning and risk of infection. Furthermore, most online searches are riddled with misinformation related to the IUD’s risks and safety. Why does the IUD deserve better advocacy? Both the copper and hormonal IUD are over 99% effective, the most effective form of non-permanent birth control. It is safe to use and far, far safer than the many risks associated with unintended pregnancy. Often when you ask women over fifty their opinion on IUD’s, they will recall the early, faulty Dalkon Shield technology of the 70s. But modern IUD’s have millions of users around the world—women who are thrilled with their efficacy, safety, and advantages. The hormonal IUD is the only FDA approved contraceptive that treats dysmenorrhea or heavy, prolonged bleeding. Hormonal IUD use results in discontinuation of menses 60% of the time. Why is this advantageous? Women menstruate over three times as many times during their lifetime today than our ancestors due to early menarche, late menopause, and fewer pregnancies. More menses during a lifetime is directly correlated with more menstrual disorders, costing women a 25% decrease in productivity during menses and taxing US industry 8% of its potential efficiency. Originally the pill was created with a 21 day progestin cycle in order to imitate a “natural process”. These synthetically induced “periods” were not grounded in medical reasoning and do not offer any natural benefits. Therefore, these factors suggest the hormonal IUD may offer a healthy advantage beyond its function as a contraceptive. 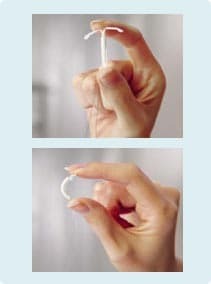 The hormonal IUD also represents preventative healthcare. It protects against uterine fibroids, anemia, adenomyosis, endometriosis, ovarian cancer, and other menstrual irregularities. With over 2.5 million women that suffer from menstrual disorders, it is astonishing that there is such a dearth of information available about this relatively cheap and safe therapeutic option. The paucity of knowledge about IUD’s is an injustice, particularly to the underserved. While usage is increasing among top income groups, Hispanic and black women are more likely to opt for sterilization because it is a cheaper choice. The US Department of Health and Human Services has decided to provide free birth control as preventative healthcare, which is a good start for strengthening women’s reproductive rights. However, often medical professionals and online sources tout the contraindications of the IUD falsely. Medical students and family health clinicians must also be educated and trained on this neglected contraceptive. In the United States 49% of pregnancies are unintended and 45% of these end in abortion. Britain’s National Institute for Health and Clinical Excellence reported that 73,000 unplanned pregnancies and 29,000 abortions could be prevented if a million women moved from the pill to the IUD. Women should have the right to learn about the safest, healthiest, and most efficacious choices for their reproductive health. Why should insurance companies offer ubiquitous coverage of Viagra, and not a reproductive choice option for women? The actions by Regence to deny women their healthcare rights is not only deplorable, it seems downright last century. Although many women have been monetarily compensated, the scar remains—we are not giving women proper reproductive and sexual freedoms, or even the knowledge to choose those freedoms. Lindley Mease is a recent Stanford graduate with interests in environmental education, conservation, and policy. She currently works for California Environmental Associates while finishing her masters in Earth Systems. She is also an advocate for reproductive rights and family planning.